The Backyard Bike Shop is a Pro Workshop, specialising in repairs, servicing and tailored custom builds. Pop in and see what we're all about, you can find us at Hillgate Quay, Gateshead, NE8 2BH, from Tuesdays to Saturdays. We offer a full range of bike servicing in our workshop, as well as tailored custom builds. Click below to view our full workshop menu. This is a Backyard Bikeshop speciality. 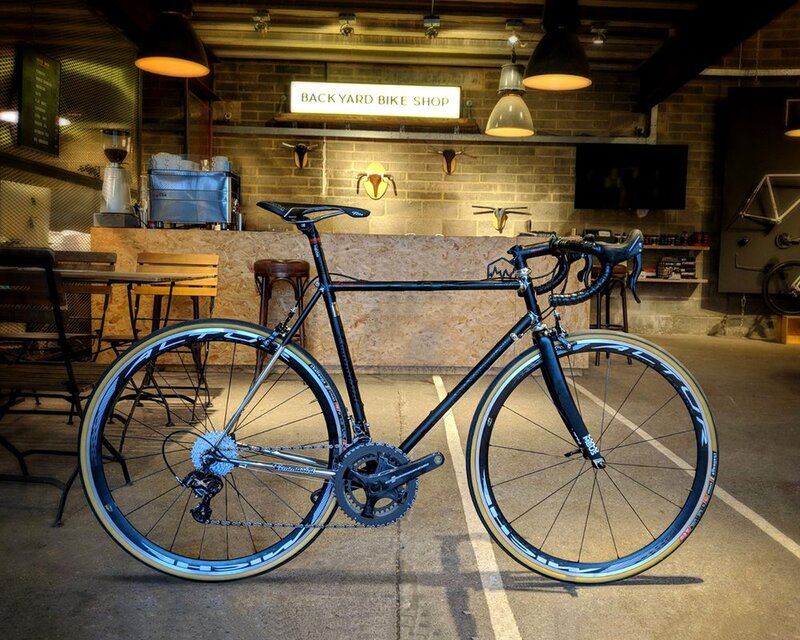 Whatever your needs or budget, we can build you anything from a cutting edge race bike or a bombproof gravel machine... From scratch using only components we'd ride ourselves! If you're looking for somewhere to start a ride, end a ride, or just discuss your next bike, we'll get the coffee's ready. We are open for Brunch / Coffee / Cakes from 10am - 5pm every day, Check out the CAFÉ page for more info. on our offering. You can now purchase vouchers for The Backyard Bike Shop, Träkol Restaurant, or our Street Food Market by clicking HERE.